Britten Sinfonia are delighted to announce the appointment of Hazel Terry to the role of Concerts and Tours Manager. Hazel has worked for the orchestra for over two years, formerly as Concerts Assistant, and lately Concerts Co-ordinator. This newly created position is a key administrative and operational role within Britten Sinfonia’s Concerts Department, striving to ensure the very highest standards of concert production and orchestra management are maintained both on-stage and behind the scenes. 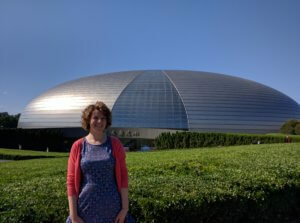 As such, Hazel will be responsible for all aspects of delivery in relation to Britten Sinfonia’s concert activity in the UK, but also abroad, drawing on past experiences of touring to China with the orchestra in 2016, and from her previous position at Hazard Chase where she looked after a portfolio of international soloists and artists.